The National Highway Transportation Safety Administration (NHTSA) and the American Academy of Pediatrics issued new safety recommendations this week, advising parents to keep children in rear-facing car seats until age two or until they have reached the maximum height and weight requirements for the seat. The previous recommendation was for children to be kept in rear-facing seats until they reached the maximum height and weight requirements - or turned one years old and reached 20 pounds. Click here to read more about what this recommendation means and how it will protect your child or someone you care about. Car seats are frequently recalled. If you have one, you can check the Consumer Product Safety Commission website or the National Highway Traffic Safety Administration website periodically to see if it has been recalled. If it has, you may need to return it to the store you purchased it from or the manufacturer. In some cases, the manufacturer may provide a new part or repair rather than conduct a full recall. Make sure you do this. 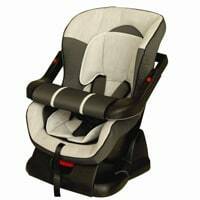 Car seats and baby strollers are two products parents and grandparents rely upon on a daily basis. If yours is not working properly or could malfunction, you want to know so you can keep your child safe. Patient Safety Awareness Week, which was observed from March 6 to March 12, is a good reminder for all patients to make sure they fully know their rights. Patients' Bill of Rights. Massachusetts has a Patients' Bill of Rights, which provides you the right to obtain your medical records, refuse treatment by medical students and other staff and participate in your own treatment. It also provides you the right to file grievances with medical institutions and government agencies regarding your care. To learn more about the Massachusetts Patients' Bill of Rights, click here. The Right To Obtain Your Medical Records. Many patients have never requested their medical records, but you are entitled to records about your care from doctors' offices, hospitals and other medical providers. It's best to request your records immediately if you suspect you have been the victim of medical malpractice. To learn more, click here. The Right To Have a Patient Advocate. You can ask a family member or friend to serve as your patient advocate if you are in the hospital. Your advocate can help you in a number of ways. They can ask questions when doctors make rounds and make sure you are receiving the prescribed medications in the proper doses. To learn more about the role of patient advocate, click here. Breakstone, White & Gluck is a Boston personal injury and medical malpractice law firm. For more than 20 years, our attorneys have fought for the rights of those who have been injured by the negligence or wrongdoing of others. We have represented clients in product liability cases involving defective products which have caused serious harm, such as car seats, automobiles, motorcycles and medical devices. If you have been injured, learn your rights. For a free legal consultation, contact our attorneys at 800-379-1244 or 617-723-7676 or use our contact form.